How can a car dealership benefit from email marketing? Discover 6 ways email marketing can truly improve your business. Email marketing is a simple and effective to reach out to your clients on a regular basis. Regular emails that are engaging and informative are very important. They can help you promote your dealership and keep your customer base interested! Read on and improve your business with the following tips. With this article, you’ll discover the perks of a powerful email marketing strategy. If you follow our advice, your car dealership will definitely reap the benefits. It is important to keep your customers up-to-date with what’s going on in your business. Whether you have moved to a new location, welcomed an employee to your team, or have a great deal on offer, your customers need to know about it. The best way to spread the word is to regularly update your customer base through email. This way, you will make them feel more involved. Sharing news through emails is a great way to get your customers more interested in and connected to your business. Many of your customers might not be aware of the importance to get their car checked on a regular basis. You can use emails as a way to educate them. Share informative content, articles, blog posts, and safety staff. All the while, you can take the opportunity to advertise your related services. This is a great way to offer value in your emails. Your customers will be more likely to stay subscribed and open your emails if they know that they will get something in return for their time. Don’t forget about your clients after a sale. 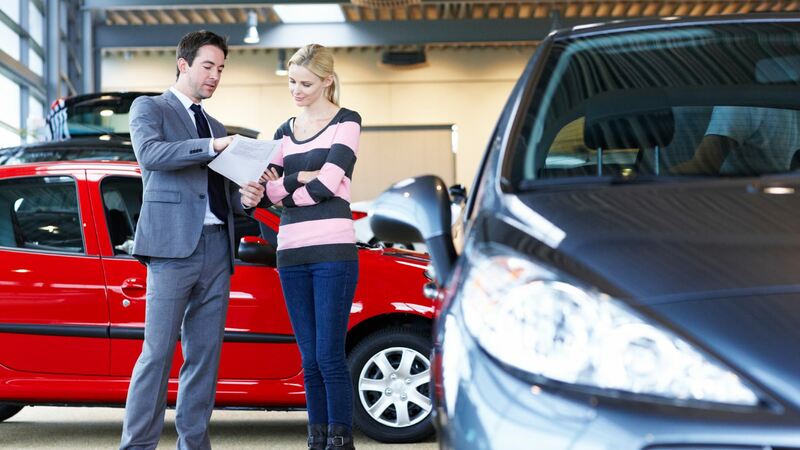 When a customer buys a car through your dealership, it should be a new beginning. Your clients may believe that their dealings with your company have now ended. However, it is important to make your dealership relevant. Stay close to the everyday life of your customer. There are many ways that you can make your brand stand out through the email market. For example, you can sponsor the local football team. You can donate books to your local library, and other activities to raise your profile while giving back to your community. Your email readers should know about. Having a community section in your regular emails will engage customers and promote your brand in an attractive way. If a person wants to know more about your brand, subscribing to your email list is an easy way for them to get insight into your dealership. It’s also a good idea to share sales, discounts, and exclusive offers with your readers. These potential customers have already signed up to your email list, so chances are they are interested in patronizing your store. An exclusive deal will be enough to get them off the fence and into your store! The car industry is a competitive market and most likely there is more than one dealership in your area. Most of the time it can come down to the price, accessibility (i.e. which one is closer to my home), and product availability. How can you make your company stand out above the others? Email marketing is one of the best tools that you have to make your mark. Whether it’s a photo of your team, updates about new models in store, or community news, these are all personal touches in your emails that can make your brand distinctive. On top of this, by posting regular and relevant content, people will start feeling more loyal and faithful to your dealership. Having said that, it’s important to actually avoid overexposure. You don’t want to harass or annoy your customers with an overwhelming amount of content. If you send too many emails and excessive amounts of information, you might actually alienate people. One of the most important things to remember with your emails is that you need to offer content that is valuable and interesting. Regular news updates are a great way to keep your customers engaged with your car dealership.